Tata Aria, one of the most sophisticated cars among Tata cars, is all set to come in to the markets with an automatic transmission gearbox. The company is planning to launch this AT version of Tata Aria, which is expected to come by the end of first quarter or in the second quarter. The Tata Aria AT pictures have been spotted when it was undergoing testing under international standards. This time around, Tata motors will definitely look to make this car a huge success in the Indian markets unlike the previous model, which failed to attract customers. The existing variant of Aria has failed to attract customers because of the wrong time of launch and due to expensive price tag. It was first launched as a competitor for the most popular Toyota Innova but proved to be a complete failure in the markets. Now it seems to be the right time for this crossover's launch in the markets as the demand crossovers is soaring at its faster pace. 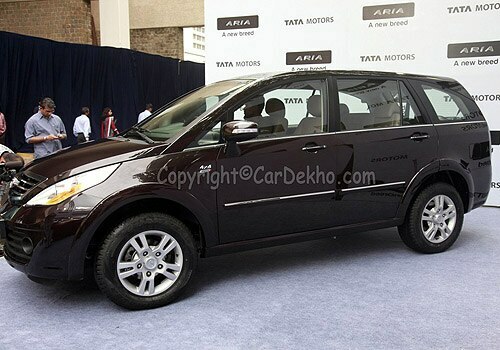 Tata Aria is bearing the flagship for Tata Motors in the crossover segment. Automatic transmission gearbox will certainly improve the driving experience and luxury of the car. According to the company, Innovations and creativity will not go in vain and they will be successful when the right time arrives. Now coming to the Aria AT, it is expected to come with latest and advanced features. 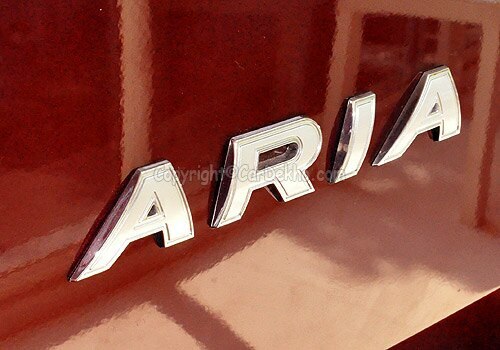 However, nothing has been disclosed regarding the Tata Aria AT features or its specifications at the moment. However, some of our sources have managed to get some details about the engine specifications and car's features. According to them, the car will be equipped with a 2.2 liter diesel engine with 2197cc displacement. It can churn out 137.2Bhp of peak power at 4000 Rpm and produce 320Nm of peak torque at 1700-2700Rpm. When it comes to its fuel efficiency, the car will give away a mileage of about 14Kmpl of maximum mileage, which is good. 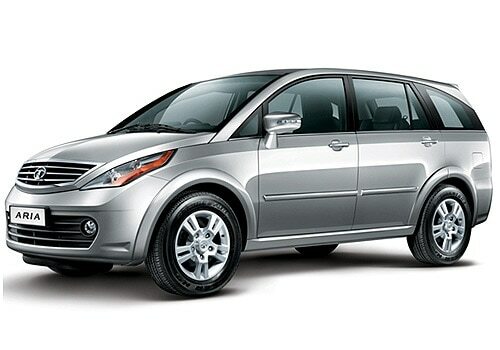 When it comes to the pricing of this crossover, the new Tata Aria AT price is expected to be around Rs. 15.0 lakh, which will be competitive. There is no doubt that the car will meet all your expectations and fulfills your traveling requirements. The wait for this car might just be about few more months before it arrives in Indian markets. It is coming with huge interior space that provides comfortable seating for about 7 members. It will be good to spend money on this luxurious car as it is coming with the best in class features designed with cutting edge technology.